Brazil, Rio De Janeiro, Summer. Everyone’s dream holiday. Well for the England national team their “dream holiday” is possible as they enter the last 2 games of their qualifying campaign with games against Montenegro and Poland at Wembley . England started the campaign with a match against Minnows Moldova which ended in a 5 0 victory with goals from Lampard (2),Defoe, Baines and Milner put the English top of the group. 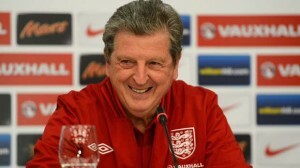 Roy Hodgson picked a squad which featured 4 uncapped players for their home match with Ukraine. The game ended 1 1 as Frank Lampard saved England late on from the spot to keep his goal scoring form. Ryan Bertrand made his England début as he replaces Leighton Baines late in the second half. England fell to 2nd in the group as Montenegro smashed Moldova 6-0. England’s next game ( San Marino (H)) ended with a 5-0 win for The three Lions Wayne Rooney and Welbeck netting twice with Alex Oxlade-Chamberlain finishing the job off for the English. 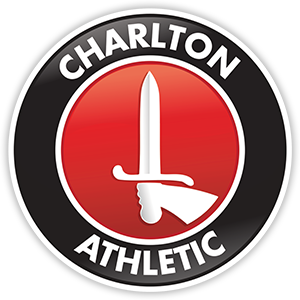 A first game for Charlton academy graduate Jonjo Shelvey saw him hit the post in the dying moments of the game. A trip to Warsaw where England Failed to look good and just managed to get a draw thanks to Wayne Rooney’s goal. By this Point in the campaign fans and journo’s had been questioning Roy and his ability to manage the national side after dropping 4 points against Ukraine and Poland (Bad signs for our 2 last games. England’s highlight of the championships was a 8-0 victory away at San Marino goals from Chamberlain, 2 from Defoe, Young,Lampard,Rooney and Sturridge. Leon Osman was handed his first cap at the grand age of 32 sparking the debate ” what is the right age to win your fast cap”. England dropped more points away at Montenegro,a lack lustre performance saw Montenegro come out of the game wondering how they didnt have 3 points. Wayne Rooney again scored the goal that counted as England stayed 2nd in the group behind their opponents. England’s next game saw another game were England failed to look brilliant yet scored 4 goals against Moldova a double from man of the match Danny Welbeck,Gerrard and a début goal from Southampton Striker Rickie Lambert. Ross Barkley also came on the field to mark him as a England player choosing to play for The three lions over Nigeria. A 0-0 draw with Ukraine at Wembley didnt go down well with the English fans with Ukraine having 59% of possession and England labelled as “boring football”. England go in to the games at Wembley knowing that they haven’t picked up 3 points against the 3 sides directly bellow them in this campaign. closest Rivals Ukraine have to play San Marino in the chase to the world cup in group H and it has been said that it is advantage Ukraine if England fail to win against Montenegro. Fraser Forster and Andros Townsend are the only 2 in the squad who are yet to make an appearance for England. But going into Friday and Tuesday’s games Roy has a dilemma.. A good dilemma. He has to pick a forward line out of 5 on form players Jermain Defoe has netted 5 times this season. Lambert 3, Rooney 4, Welbeck 3 and Daniel Sturridfe has 8 in all competition to his name. Joe Hart has been questioned of late but Roy Hodgson will back his number 1. England will need to change their form against the 2 sides they have struggled to take 3 points against Ukraine twice and points against Montenegro and Poland have left them just about top of the league but they will need to take maximum points this week to get England to Brazil in 2014.